An unsecured creditor who obtains a court judgment against a debtor can take action against the personal property (“chattels”) of the debtor. Creditor has threatened to take the client’s car. Client brings you court documents showing a bailiff has taken their chattels. Chattels is a legal term that generally refers to a person’s moveable possessions. The term “chattels” generally does not include possessions that cannot be moved (like “real property”; that is, houses or land). This section deals with the rights of an unsecured judgment creditor to have a debtor’s chattels seized to satisfy a judgment debt. Secured creditors (creditors with a security interest in some or all of a debtor’s chattels) have very different legal rights (see the section on Types of Lenders and Creditors). In general, an unsecured creditor cannot take action against the chattels of a debtor until a judgment is obtained. Only after a judgment has been granted on a debt claim can a creditor look to the assets of the debtor to satisfy the judgment. Aggressive creditors often threaten action against assets even before a judgment is obtained. (See the section on Harassment by Debt Collectors.) Such threats are usually baseless because seizure of chattels after judgment can usually be avoided. A pre-judgment garnishment (of a bank account, for example): see the section on Garnishment and Set-offs. A Mareva injunction: Mareva comes from a leading British court decision that outlines when a court can order a debtor not to dispose of assets while an unsecured creditor’s claim is being processed in the courts. Mareva injunctions can only be made by Supreme Court judges — not Small Claims Court judges — under complex circumstances, so a client should consult a lawyer if such an injunction has been threatened or issued. Once a judgment is obtained, a creditor is entitled to a further order for seizing a debtor’s assets to satisfy the judgment. In Supreme Court, such an order is known as a writ of seizure and sale (see Supreme Court Civil Rule 13-2(1)); in Small Claims Court, it is called an order for seizure and sale (see Small Claims Rule 11(12)). The creditor can obtain these orders from court registry staff (a court hearing is not needed). The orders are then delivered to the local court bailiff to carry out. Sections 47 to 78 of the Court Order Enforcement Act set out the procedure that a court bailiff follows to enforce orders. Usually, the court bailiff requires information from the judgment creditor on which assets may be seized. The asset most likely to be seized after judgment is a car; household goods are not usually worth enough to justify seizure. The Court Order Enforcement Act also allows court bailiffs to seize other assets such as stocks, bonds and promissory notes (enforceable promises to repay a debt or loan). When carrying out personal property seizures, the court bailiff must allow the debtor to select goods and chattels to this exemption level. Under the Court Order Enforcement Act, section 73(2), the judgment debtor must make a claim for exemption within two days after the seizure (or notice of the seizure). This exemption has been strictly interpreted by the courts — the exemption is lost if the claim is not made in time. The Court Order Enforcement Act does not provide detailed procedures for claiming the exemption, however. The court bailiff is directed to make a list of the items claimed if the debtor does not deliver one, but as a precaution, it is a good idea to make a list, file it in the court registry, and then personally deliver a copy to the court bailiff — all within the time limit. If there is a question about the value of assets or ownership of assets, the court bailiff will not actually take possession of the assets, but may seize them in name only. The bailiff does this by having the debtor sign a notice acknowledging the seizure and that the debtor is holding the assets for the court bailiff until the value or ownership is settled. This process is commonly known as a “walking seizure”. Sections 74 to 78 of the Court Order Enforcement Act provide a somewhat cumbersome process for valuing assets if the court bailiff and the debtor disagree over how much property can be claimed as exempt. Advocates rarely need to resort to this process. The Court Order Enforcement Act allows an exemption to be claimed over a debtor’s equity in secured goods. Say, for example, a debtor owns a car worth $10,500. Assume there is $5,000 outstanding on a security agreement with a creditor (other than the judgment creditor). 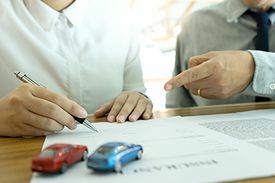 The difference between the value of the car and the amount owed to the secured creditor is considered to be the judgment debtor’s equity in the car. In practical terms, this is the amount of money that the debtor could get after paying off the secured creditor if they sold the car. If the car were a judgment debtor’s only asset, it probably would not be worth seizing under an order for seizure and sale, even though it is worth (and could be sold for) $10,500. This is because the secured creditor is entitled to be paid in full first (that is, $5,000). Then the debtor could claim the $5,000 exemption (reduced to $2,000 if they are a maintenance debtor). Court bailiff costs would probably take up the rest of the $500 balance. The matter becomes more complicated when the judgment creditor has a judgment against two debtors who own property jointly. The most common example is when spouses who are joint judgment debtors own household assets and a vehicle jointly. The law appears to allow the spouses to combine their exemption claims in this situation, so that, in total, they could claim $8,000 worth of household goods as exempt between them. The Insurance Act exempts payments from insurance companies under certain annuity contracts. The Credit Union Incorporation Act exempts certain credit union shares. Under the Indian Act (Canada), real and personal property of a status Indian or a band situated on a reserve is not subject to seizure, except by other Indians. Provincial laws exempt the pensions of teachers and provincial and municipal employees. Provincial laws exempt welfare benefits. Federal laws exempt Employment Insurance payments, Canada Pension Plan benefits, veterans allowances, and Old Age Security payments. The Court Order Enforcement Act exempts RRSPs, RRIFs, and DPSPs (Deferred Profit Sharing Plans). Consult a lawyer about how these laws might apply. Gather and confirm all information on the financial circumstances of the client, including income and expenses, assets and debts, and future prospects for changes in income. Obtain copies of all court documents, particularly copies of the court judgment, the seizure and sale order, and any notice of possession signed by the judgment debtor. You must determine the date of the seizure to ensure that the debtor’s exemption claim is made within the two-day time limit. If there is any doubt, the debtor should make a claim immediately, after which you can determine the most appropriate remedy for the client. Determining if there are other creditors is important when you are deciding what remedy to recommend. If there is only the judgment creditor, you may be able to focus on negotiated remedies such as a repayment agreement, or court remedies such as an instalment payment order. If there are several creditors, you may need to consider more global remedies such as debt pooling (see the section on the Debtor’s Options for Getting Out of Debt), or remedies under the Bankruptcy and Insolvency Act (see the sections on Assignments in Bankruptcy and Consumer and Ordinary Proposals). This page was last edited on 13 October 2018, at 09:47.